Composer John Adams will be conducting members of the Conservatory Project Chamber Ensemble and the National Symphony Orchestra in a free concert on Monday, May 17, 2010 in the Terrace Theater at 6:00 p.m. The program will include his masterful paean to Schoenberg, the Chamber Symphony, and his early work Shaker Loops for string ensemble. 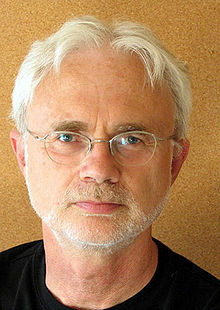 John Adams is in the midst of a two-week residency at the Kennedy Center. While here in Washington, he is blogging about it. Today, he posted this rightly searing invective against cheapened background music that is motivated by M.B.A.-style commercial manipulation of the nouveau riche. His blog is called "Hellmouth," always a reliably enlightening commentary on classical music and other matters (including his prior visits to Washington). There is but one definitive recording of the Chamber Symphony, available on Nonesuch Records (with whom he has recorded from the very beginning of this career). Although the work represents his most aggressively chromatic and modernist stylings - far away from minimalism - it has among its saving graces a sense of humor that seems closer to Tex Avery cartoons than Second Viennese School Stand-up Comedy.